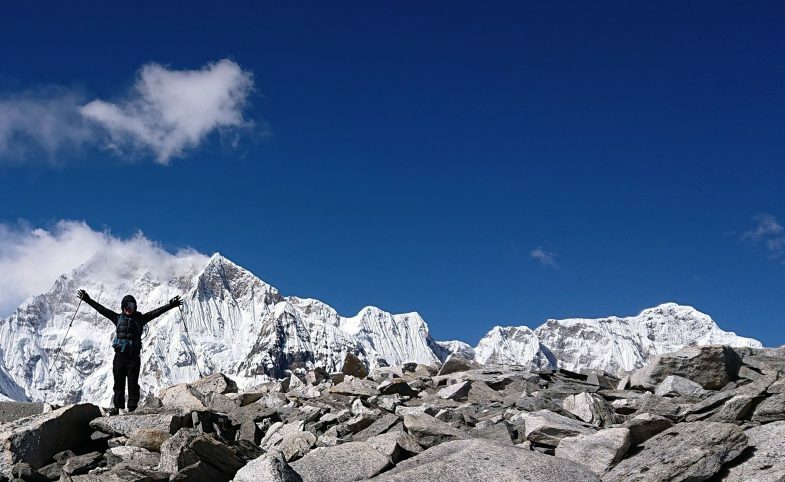 Looking to take your trekking to new heights? 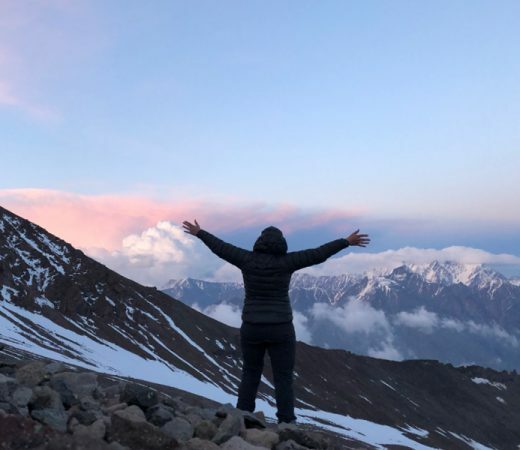 Learn and develop alpine skills in the ultimate outdoor classroom: Mount Kazbek, one of the focal points of the Caucasus mountains. 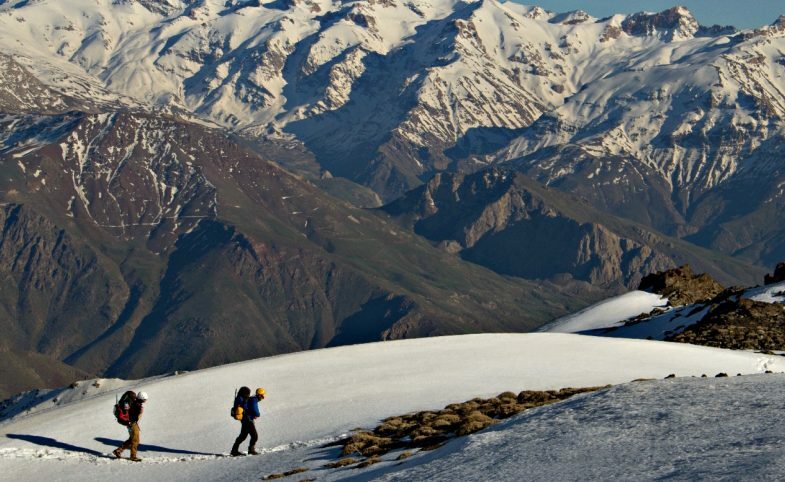 Surrounded by the impressive snow-capped volcanic peaks of Georgia’s Khokh Range, in this self-supported Adventure Academy expedition, you’ll learn to navigate the challenging icy terrain of alpine environments including glaciers and rock and ice escarpments of the mountain’s steep upper slopes. 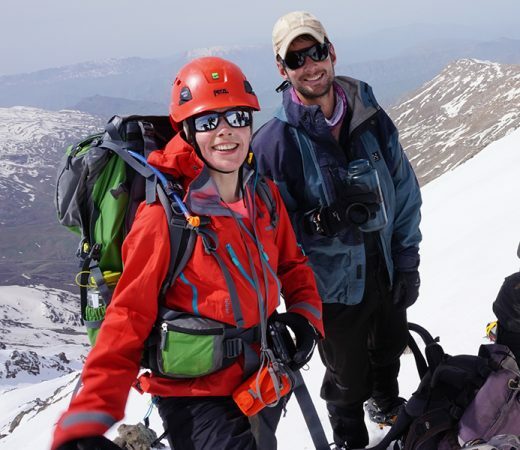 The primary aim of this Adventure Academy expedition is to develop practical alpine skills on the diverse environments found on the slopes of Mount Kazbek (5047m), the highest volcano in Georgia and the second highest in the Caucasus range. Self-supported, this is an ideal but challenging first taste of alpine conditions with Georgia’s epic Caucasus mountains as the backdrop. 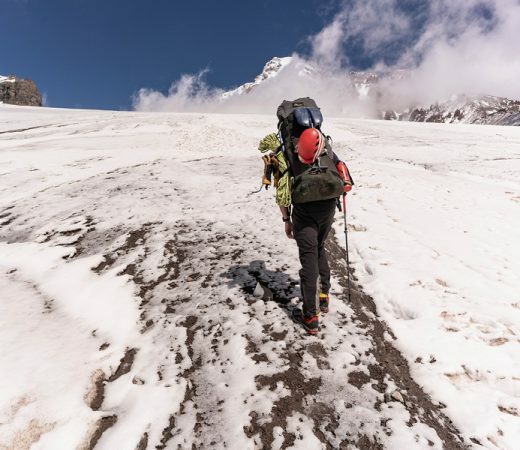 Dependent on the conditions on the day and the team’s capability, there may also be an opportunity to make a summit attempt of Mount Kazbek, although this will be decided on the ground by your experienced expedition leaders. For an idea of what to expect, see the full gallery from our 2018 Alpine Skills Course here. Develop alpine skills in an expedition environment. Practise crampon and ice axe use on ideal terrain (conditions permitting). Experience the realities of self-supported trekking in alpine conditions. Weather and team conditions permitting, attempt to summit the second highest volcano in the Caucasus. Vital to anyone considering further exploration above the snow line, the term alpine skills refers to the actions on the mountain required above the snow line. These include the use of ropes, harnesses, crampons and ice axes on steep surfaces, route selection and moving over glaciated terrain, and crevasse rescue techniques. You can forget returning to a warm bunkhouse every night, instead you’ll be gaining the real-life, necessary knowledge required to support future summit attempts. 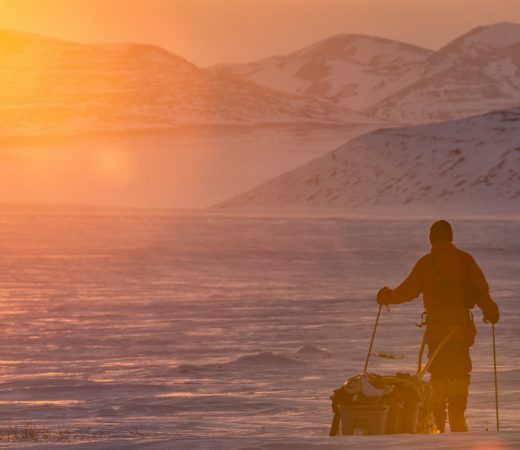 The team will be self-sufficient throughout, carrying all of their equipment, for a taste of the realities of expedition life in more remote areas. Mount Kazbek goes by many names. In Georgian it’s known as Mkinvartsveri, meaning ‘the mountain with the ice head’. Similarly, the Russian Mkinvari means ‘the ice mountain’. Renowned in Georgian folklore as the prison of Amirani (a local version of Prometheus) Mount Kazbek is a challenging but achievable peak which offers plenty of environments perfect for alpine training. As a team, you’ll pitch a basecamp above the snow line and head out for training and practice sessions on suitable terrain nearby. 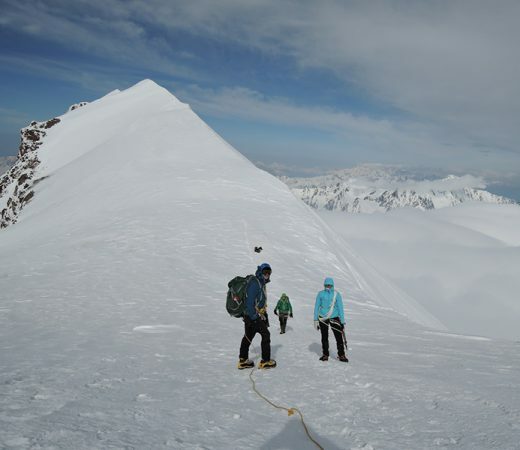 Whilst the primary aim of this expedition is to learn and develop alpine skills, there may be the possibility – weather and team dependent – to make a summit attempt. 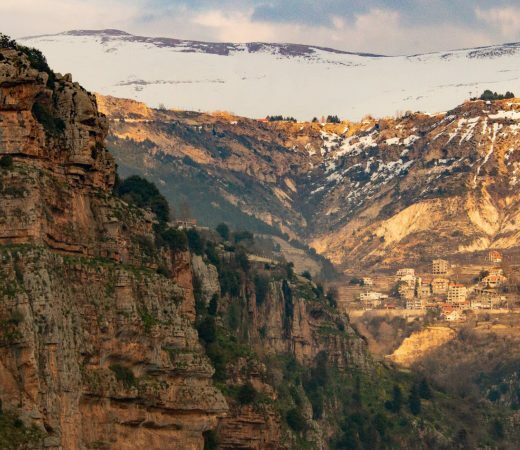 A diverse nation despite its relatively small size and, despite being easily accessible from much of Europe, Georgia isn’t yet on most adventurers’ travel radars. 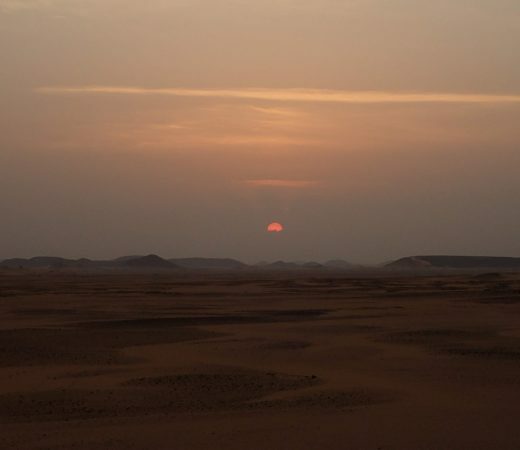 It has its own unique language, alphabet and culture and a varied natural environment which team members will explore on this expedition. Stretching between the Black Sea and the Caspian Sea, the Greater and Lesser Caucasus mountain ranges run parallel to each other at the boundary of the Arabian and Eurasian tectonic plates. To the north, along the border with Russia sits the Khokh Range, home to both Kazbek and Elbrus. You can read explorer Levison Wood’s thoughts on the Caucasus and Georgia in particular in this Guardian article. Away from the well-trodden routes of the Alps, this alternative alpine skills course in Georgia will use a framework of set training objectives. As an Adventure Academy expedition, the primary aim of the expedition is to complete these objectives. 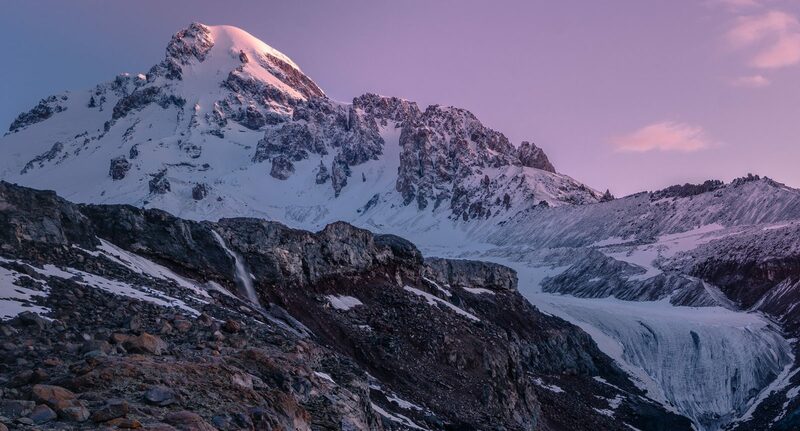 Summiting Kazbek is the secondary objective and may not be suitable depending on weather conditions and team ability and confidence. Lessons will take the form of open discussions, practical demonstrations and hands-on practice, aiming to give you the skills you need to be competent, confident and safe in alpine environments and on your own adventures. Secret Compass runs expeditions with framework itineraries, rather than guided tours with set daily plans. Read more about Our Approach here. The following is the outline plan for this Adventure Academy expedition to Georgia, a fuller itinerary is provided in the Georgia Expedition Handbook which is available on request or upon application to join the team. All teammates fly into Tblisi, capital of Georgia. There will be an expedition briefing and welcome meal with your expedition leaders. Setting off from Tblisi, the team will drive to Kazbegi village at the foot of Mount Kazbek. From here the team will be self-sufficient for the next six nights, carrying all the food, tents and personal equipment needed to survive in this mountain environment. The pace of this expedition will allow plenty of time for learning and practising the key skills required for an alpine ascent. 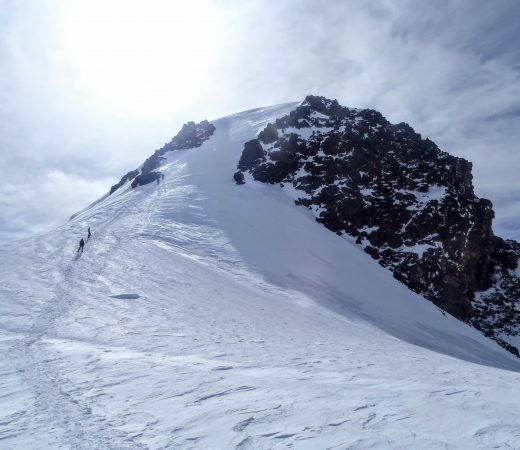 Many factors will influence the final itinerary including team ability and weather conditions, therefore a summit attempt on Mt Kazbek is not specifically planned but may be possible depending on conditions. Secret Compass will provide any specialist kit and equipment such as crampons, helmets, ice axes, tents and cooking equipment. After descending from Mount Kazbek, the team will return to Tblisi for a hot shower and celebratory meal. The expedition officially ends after breakfast on 9 June 2019 with teammates welcome to arrange their return on onwards travel from this date on. Secret Compass expeditions are designed to be challenging yet achievable by anyone with a healthy lifestyle and a good level of general fitness. Team members should be willing to be part of a team working together to achieve the goal of the expedition. 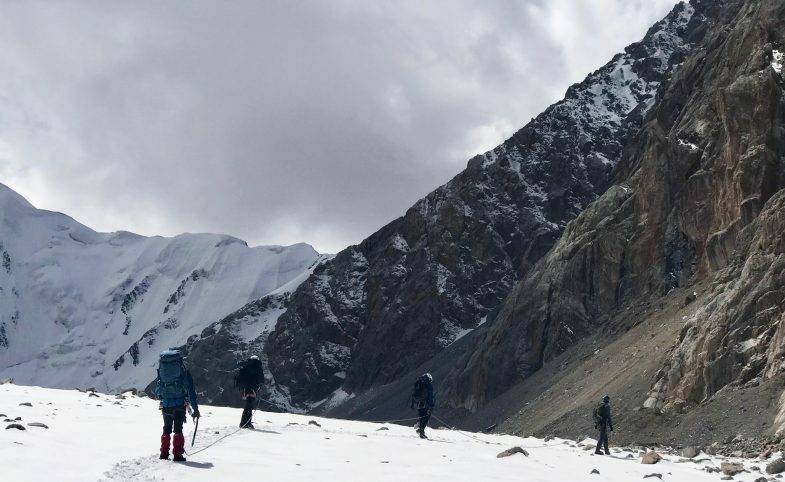 The biggest challenge on this expedition for those unused to it could be camping at altitude for multiple days and trekking to basecamp with a full pack. No previous experience of alpine conditions is necessary to join this expedition but teammates will benefit from previous trekking or winter hill-walking practice. You should be used to carrying up to 20kg for multiple days over steep terrain. Anyone who has not done this before is invited to train to achieve this in advance of departure as it will be required on this Adventure Academy expedition. Secret Compass can provide a suggested 12-week training program to help you meet the physical requirements. 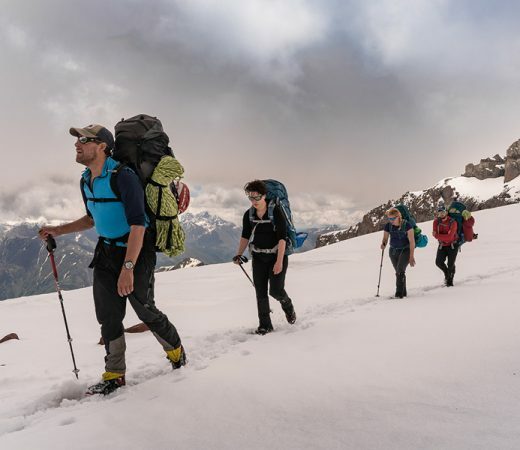 This expedition will teach alpine skills on the assumption that team members have no previous knowledge and will provide a platform for those with previous alpine experience to further develop their skills in a challenging expedition environment. Daily activity: up to 14hrs on summit day (most days will be shorter). Carry: up to 20kg per person on the ascent to basecamp. Terrain: rocky and uneven trails and paths below the snowline. Above the snow line expect snow, ice and often steep, exposed terrain that is sometimes glaciated. Climate: from +15C at the base of Mount Kazbek dropping by approx. 1ºC per every 100m vertical height gained. High winds in an exposed environment. Potentially hitting as low as -20ºC at the summit. Professional Secret Compass leader with full medical and communications kits. In-country specialist guides and instructors depending on the team size. Twin-share accommodation as per itinerary. Specialist kit as outlined in the Handbook. International flights/ travel to and from Tbilisi. Any accommodation, transport or meals outside of the Secret Compass itinerary. On application to join this Adventure Academy expedition to Georgia, potential teammates will receive a detailed Expedition Handbook. Here are some expedition-specific questions and our general FAQ will answer many other questions. Get in touch if your question remains unanswered. Crampons attach to the bottom of mountain boots to facilitate trekking on snow and ice. For this expedition it is imperative that everyone’s boots are crampon compatible, a minimum B2 rated boot is required. We suggest consulting your local outdoors shop for advice and fitting. Secret Compass will provide C1 crampons for all teammates unless you tell us you have your own. The summit of Mount Kazbek is at 5047m. Most people can ascend to 2400m without difficulty although symptoms can be present above 1500m. 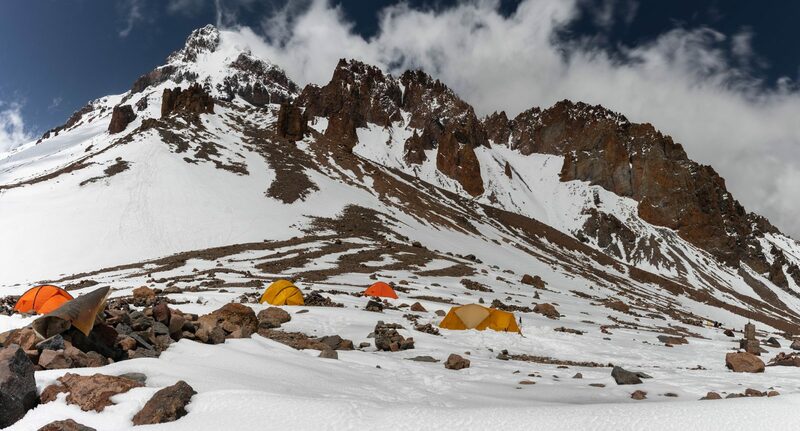 This expedition is planned to provide plenty of time for acclimatisation and part of the expedition briefing and alpine training will be on signs and symptoms of acute mountain sickness, or AMS as it’s known. The expedition leader is well-versed in such activities with teams at altitude and can advise and answer your questions when on the mountain. Teammates with dietary requirements are welcome to apply for this expedition and should state their specific requirements when applying. Ration packs are used for the mountain phase of this expedition with several tasty vegetarian options available. Secret Compass will always endeavour to accommodate dietary requirements but may request you bring additional supplementation if you are on a restricted diet.